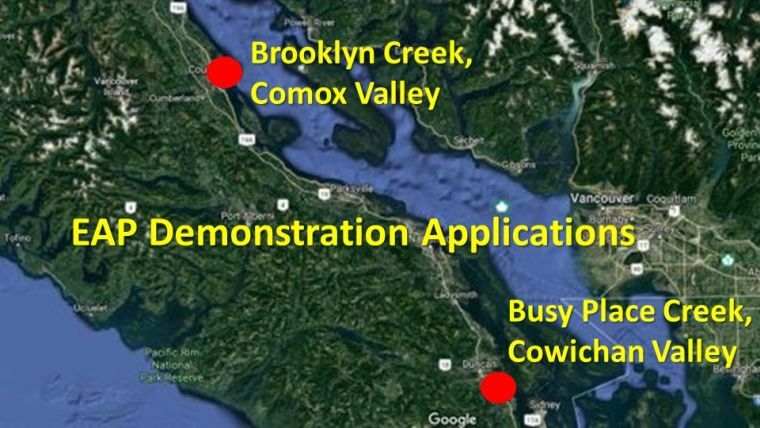 At the Nanaimo Water Stewardship Symposium in April 2018, EAP Chair Tim Pringle distilled what has been learned from the EAP case studies. 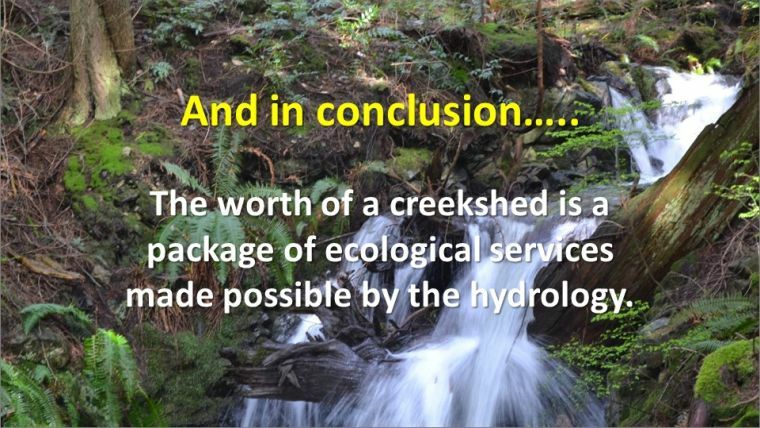 “The worth of a creekshed is a package of ecological services made possible by the hydrology,” emphasized Tim Pringle. 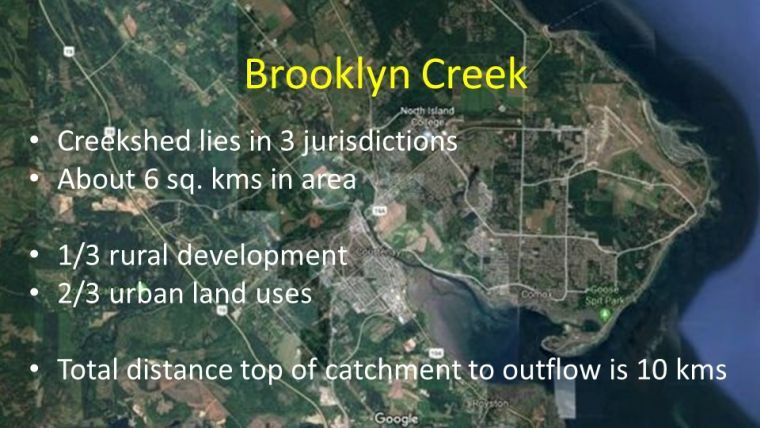 “These inter-dependent ecological systems provide uses we call nature; examples are wetlands, ponds, riparian areas, woodlands, habitat for flora and fauna, etc. 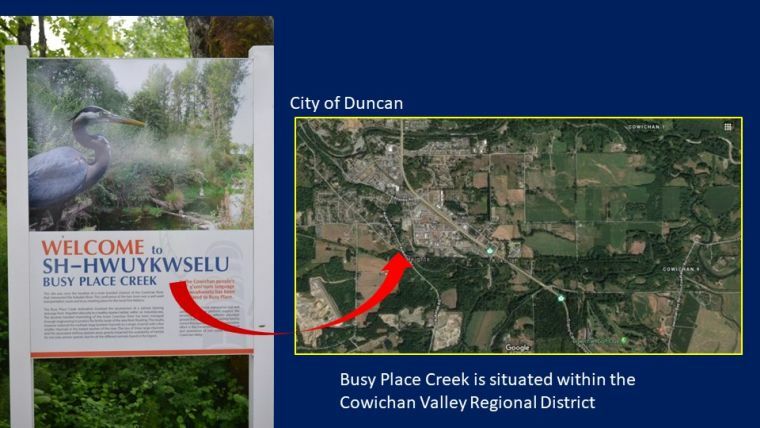 These systems add appeal and quality to parks, greenways, trails, as well as opportunities to focus on natural processes such as salmon spawning and nesting sites. “By providing a value for the land underlying the stream and riparian zone, stakeholders have a much more realistic idea of the worth of the ecological services supplied by environmental assets. 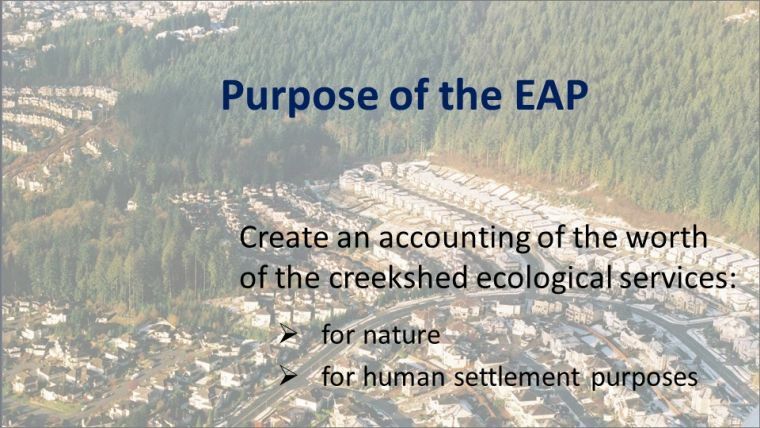 Download a copy of Assessing the Worth of Ecological Services Using the Ecological Accounting Process (EAP) for Watershed Assessment, released by the Partnership for Water Sustainability in BC at the Nanaimo Symposium.